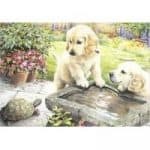 You are here: Home / Breed info / How long do golden retrievers live? Average Labrador Lifespan? Most people wonder about the life expectancy of a golden retriever or how old do golden retrievers live. We are all aware that most dogs and other pets have a different lifespan compared to humans, and this is why we want to know for how long they will most likely live. This is so that we can cherish moments with them much earlier and give them all the pleasures in life they deserve. A man’s best friend is usually around the average lifespan of only 10 to 15 years, compared to human lifespan, so we need to make sure they get the most out of their life. This applies to most pets because of their nature and genetics. 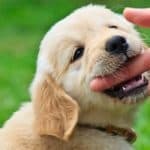 In this article, we explore the lifespan of golden retrievers as well as the lifespan of other sub-breeds. What can affect a golden retriever’s lifespan? So How Long Do Golden Retriever Live? The English golden retrievers can live up to 12 years on the average. These English golden retrievers are usually found in Australia and in Europe and are characterized by a balanced muzzle and a more muscle built compared to American golden retrievers (see below). They also tend to be heavier and their coats are usually thicker, so they can be harder to manage, but they are less susceptible to the cold weather. Compared to English retrievers, the American golden retrievers can live up to 10 years on the average. The American sub-breed usually spans from 23 to 24 inches in males and 21 to 22 inches in females and are known to have a darker color of coat compared to that of an English golden retriever. They also tend to have a shorter coat, since the climates in America isn’t too cold compared to that of Europe. Like most average golden retrievers, the Canadian sub-breed can live around 11 years or so. 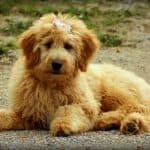 While not a popular sub-breed, these golden retrievers are usually taller compared to the rest and tend to have a thinner coat, that’s why they are very easy to tell apart from the rest. Did you know that the oldest living golden retriever lived up to 20 years? That’s amazing – surely, he achieved the highest golden retriever lifespan record. It was possible that this golden retriever received a lot of care from the owner. Hip and elbow dysplasia – a common disease that is known among most dogs and dog breeds. Not to worry though – this only affects less often compared to other dogs of a large breed, so if you do take care of your dog’s bone strength, they are less likely to have this kind of health issue. Cancer – like people, dogs also get cancer, but they can be treated if they were diagnosed earlier as much as possible. After your dog has turned 10 years old, they may be more susceptible to cancer, as that is the equivalent of our senior years in human life. 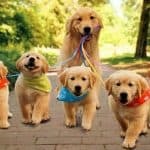 The sad news is that cancer in canines occurs more to golden retrievers than it does to other dog breeds. Eye problems – eye health issues can also affect dogs. But the good news is that when it comes down to golden retrievers, they are less likely to occur. Some of the most common eye problems that dogs can potentially have include cataracts, uveitis and progressive retinal atrophy – similar to how our old aged grandparents may also get eye problems. Skin problems – this can occur on most dogs and can also happen to most golden retrievers. This is why it is important that you take care of their skin and coat by giving baths regularly and using pet-friendly shampoos, conditioners and other bath time products. 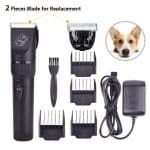 In addition to that, since golden retrievers can shed a lot, they should be groomed and brushed properly and regularly – it may also help to get them to a dog salon or vet for that. Ear problems – this can occur in most golden retrievers, but they can also be easily treated, much like with skin problems. Ensuring that your pet is away from ear problems can help them live longer and be more attentive to danger and to other things going on around them. Hypothyroidism – this may happen to golden retrievers as well, especially during their old age of about 10 years or more, but like with ear problems, it is also easy to treat it and give medical attention to it – just ask your vet about it. A poor lifestyle can also contribute to shortening the lifespan of your canine friend, therefore it’s important to live a healthier lifestyle by giving them quality food, bathing them regularly, giving them plenty of exercise and adding more TLC to them. Your dog needs to be physically, mentally and emotionally fit to stay healthy through the years. Compromise in safety can also shorten a dog’s lifespan, and the golden retriever is no exception to that rule. Ensure that your canine friend lives in a comfortable area of the house or lawn, and the doghouse, if you have one, should be built in a sturdy way so as not to get intruded by others. The life expectancy of an average golden retriever is estimated at 11 to 12 years, like most dog breeds. This can vary depending on the genetic disorders that your pet may have and the lifestyle that your dog maintains. Therefore, taking your pet to the vet is a highly crucial task.